It is time for great grilling recipes! Grill season means delicious grilled steaks, chicken, fish, kabobs and more! But did you know some of the other yummy things you can make on the grill? Like pizza, vegetables and even nachos! 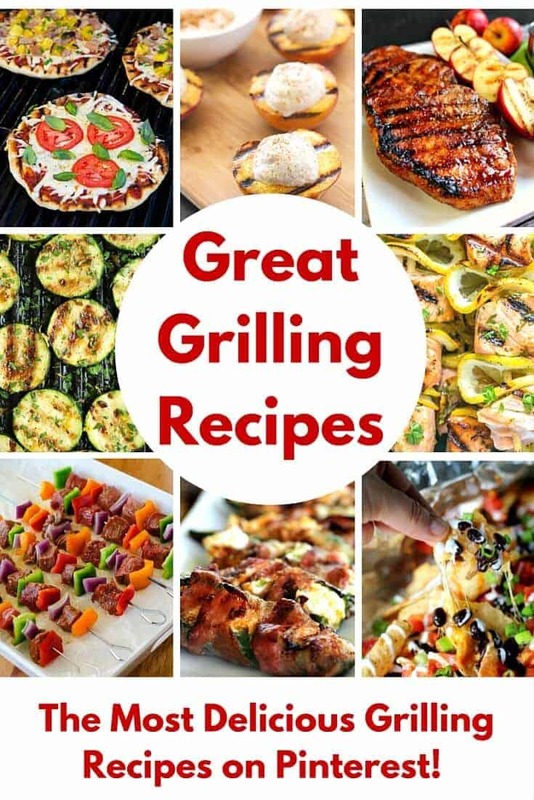 That’s right and here are tons of great grilling recipes all in one place! That is right… dust off that grill and get ready for some truly delicious dinners. I can’t decide if I love the taste of the food or how simple the clean up is more when it comes to cooking things on the grill. It is one of my favorite things about the warm weather and getting together with friends and family. So, enjoy these drool-worthy grilling recipes and good luck choosing one to make this weekend… they all look amazing! 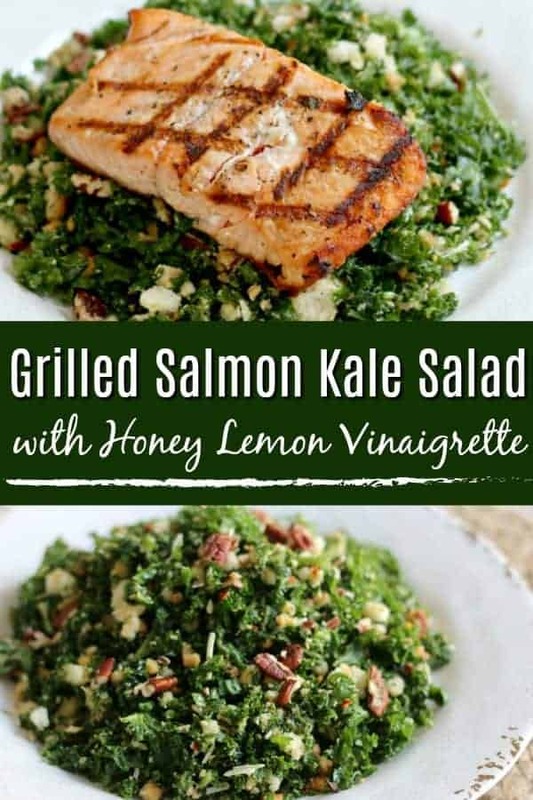 Easy Grilled Salmon Kale Salad with Honey Lemon Vinaigrette, flaky grilled Alaskan salmon served over a bed of tender sweet kale greens. 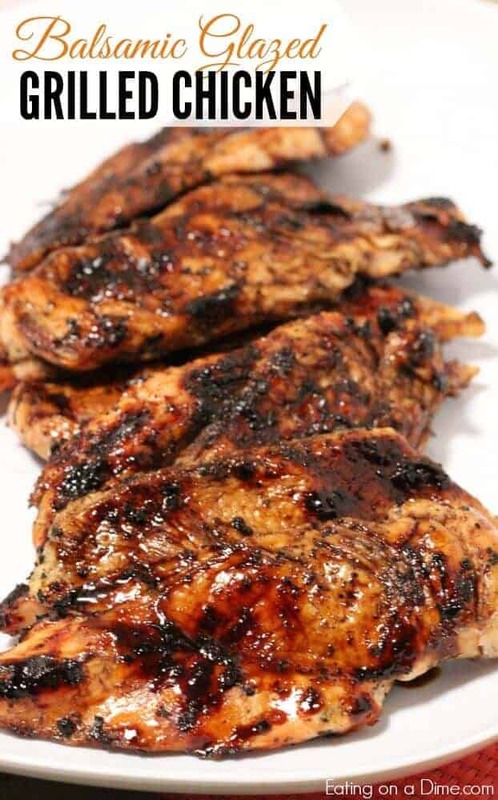 Balsamic Glazed Grilled Chicken by Eating on a Dime . 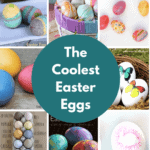 A staple in our house! This recipe will even turn non-chicken lovers into chicken lovers! You can’t make a great steak without first having a great marinade. 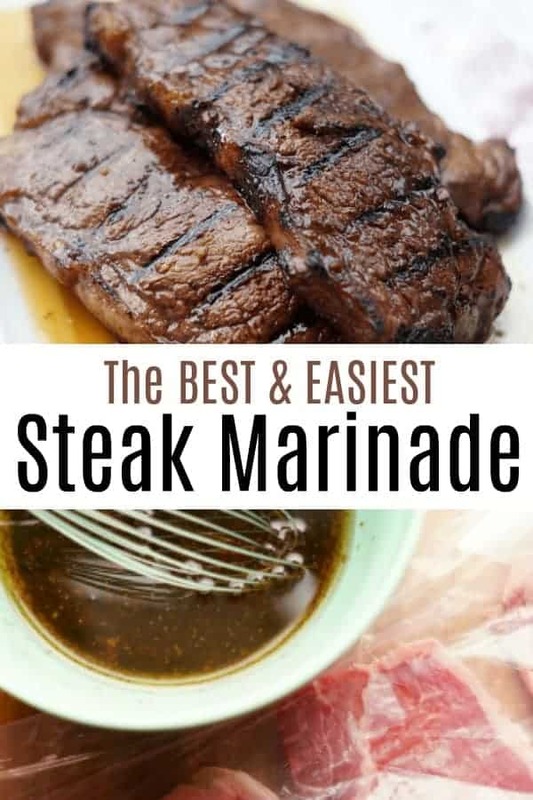 This is simply the best steak marinade and the easiest to make! You can have it done in 5 minutes with everyday ingredients that you probably already have in your pantry! Honey Glazed Drumsticks via Princess Pinky Girl . 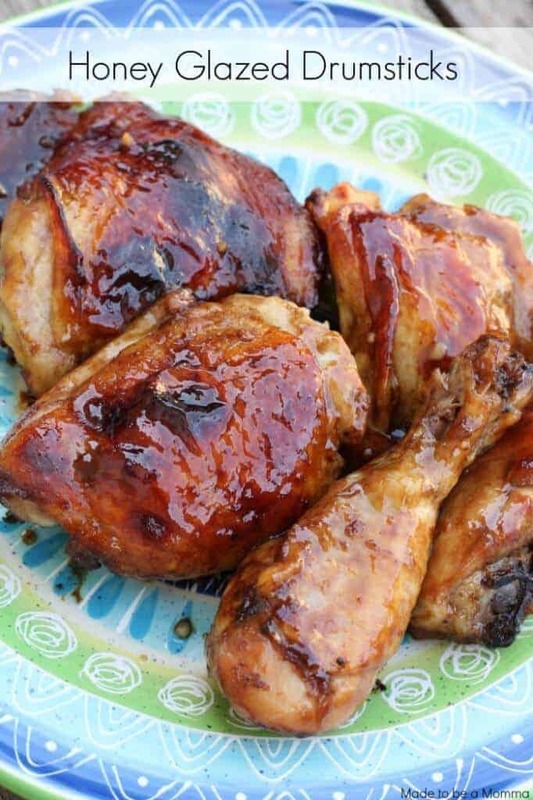 If you are a drumstick fan, then you have to try these honey glazed chicken drumsticks! Grilled Pizza by Cooking Classy . Another “who knew” moment. Grilling pizza has literally changed my world! 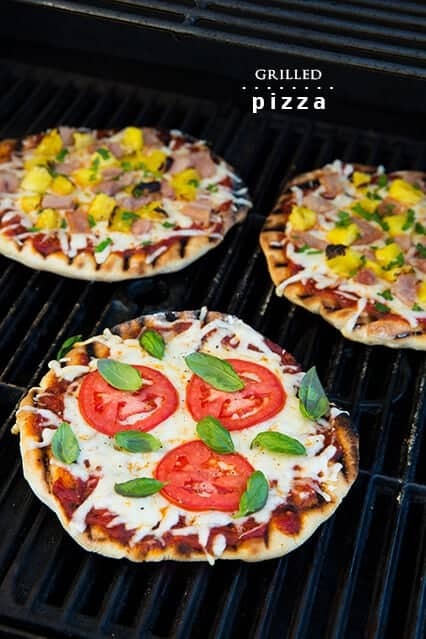 You will never make pizza in the oven again when you can grill it! Apple Cider Glazed Pork Chops by Delightful E Made. 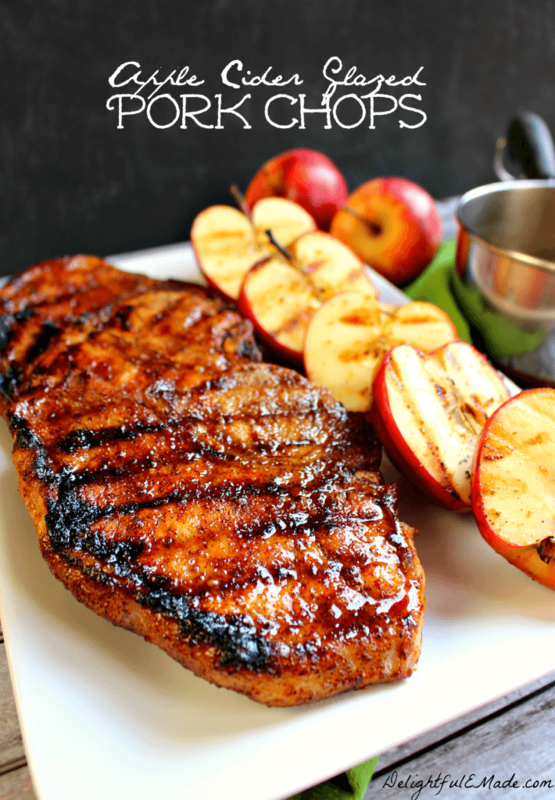 The delicious apple glaze makes these pork chops a total winner! Marinated Grilled Flank Steak by Kalyn’s Kitchen. 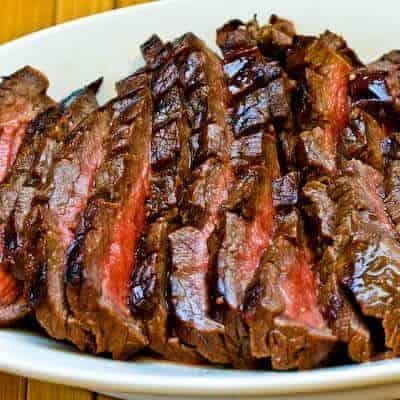 Flank steak is easy to make and takes on the delicious marinade of your choice. This is a great recipe! 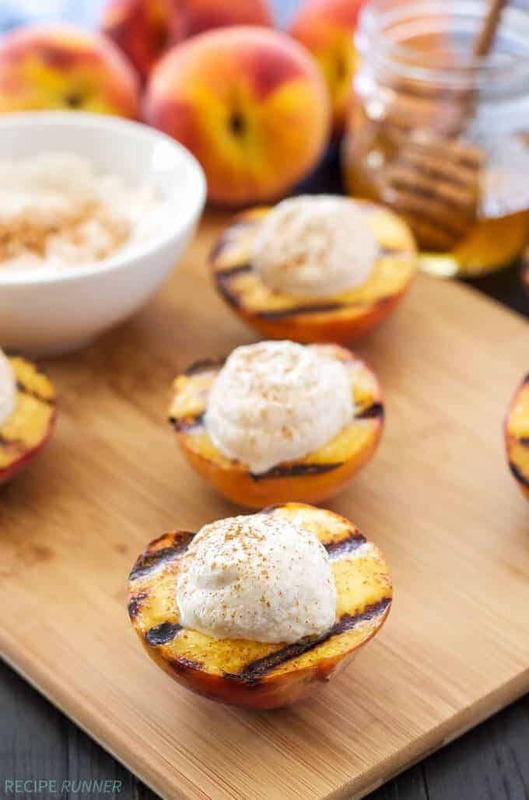 Grilled Peaches with Cinnamon and Ricotta by Recipe Runner . While you have the grill fired up, why not make your dessert on there too! 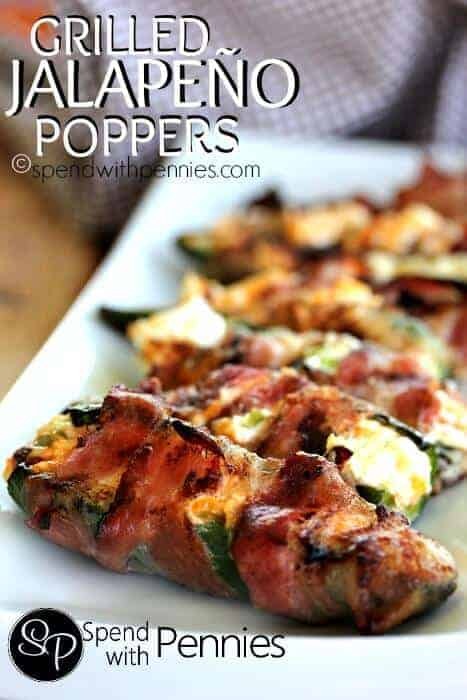 Grilled Bacon Jalapeno Poppers by Spend with Pennies . I mean seriously, need I say more! YUM! 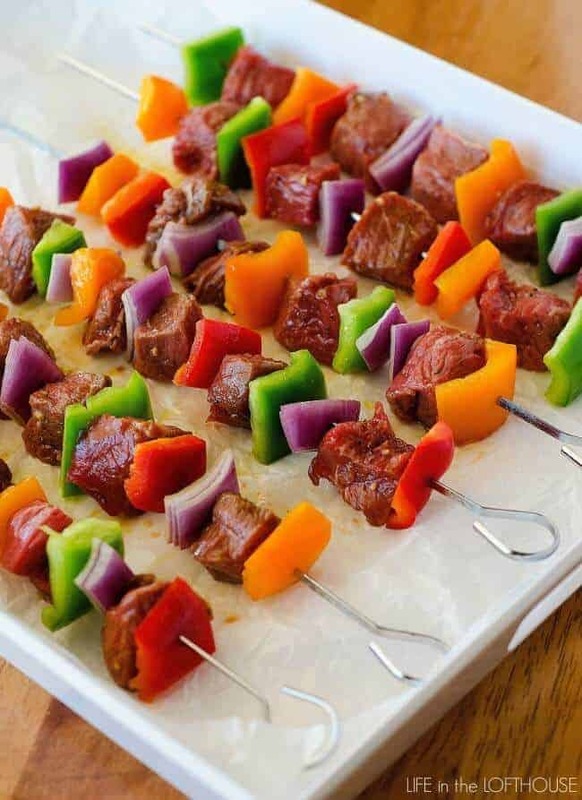 Grilled Steak Kabobs by Life in the Lofthouse . Kabobs are such a treat in our house. My kids love anything on a stick! It is a great way to get them to eat their veggies! 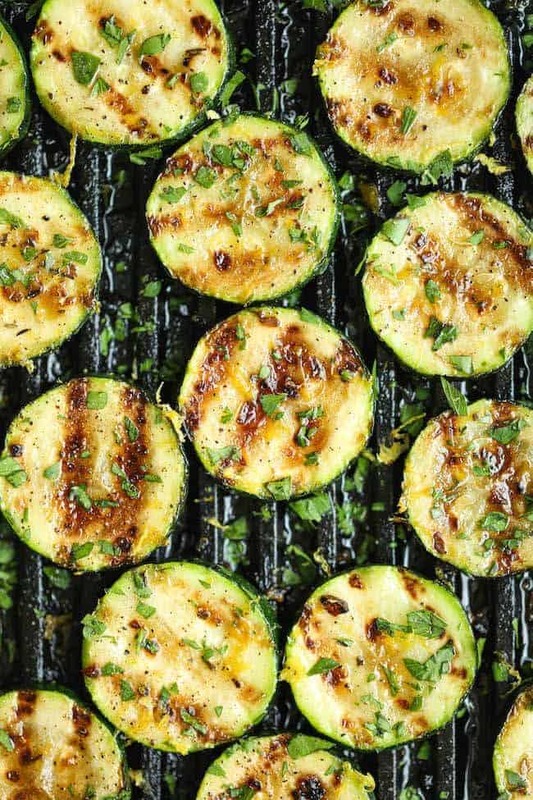 Grilled Lemon Garlic Zucchini by Damn Delicious. Grilled vegetables are one of my favorite grilling treats. Everything just tastes so much better on the grill! Don’t you agree? 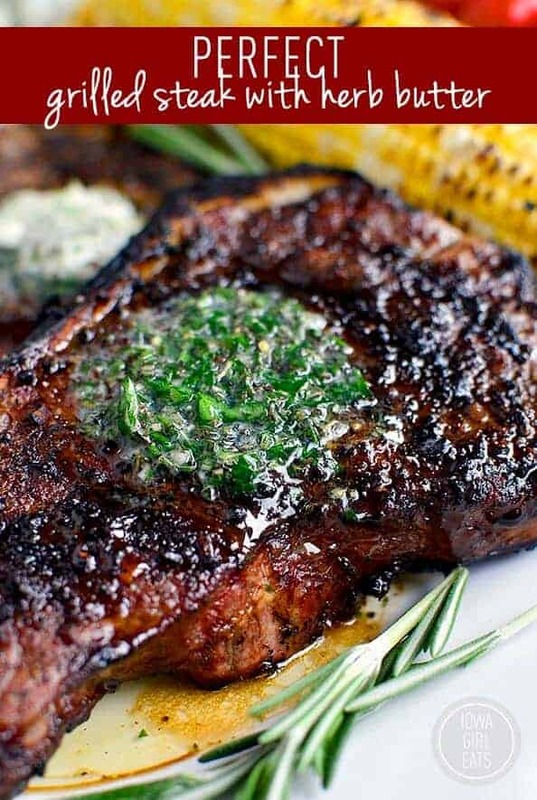 Perfect Grilled Steak with Herb Butter by Iowa Girl Eats . Steak with herb butter. It is pretty much all a steak needs to make my belly happy! 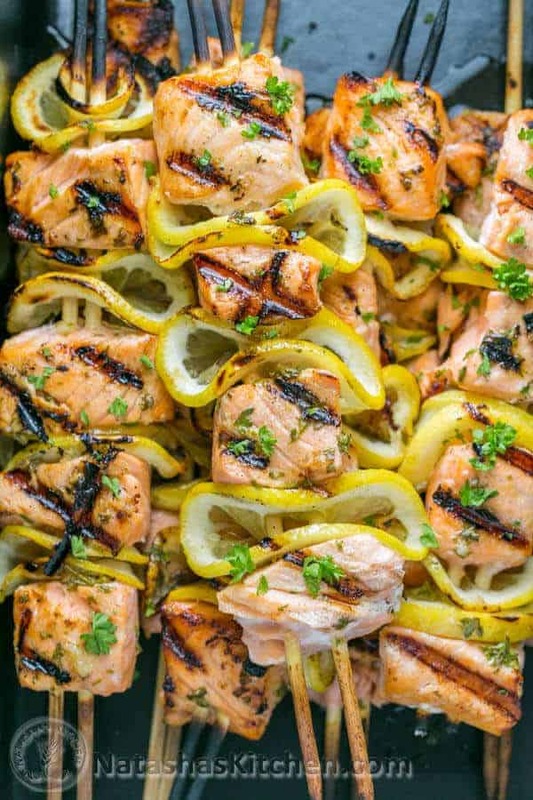 Grilled Salmon Skewers with Lemon and Dijon by Natasha’s Kitchen . Such an easy way to make salmon! And the lemon and dijon just top it off so nicely. BBQ Ranch Grilled Chicken by Plain Chicken . I am always a fan of anything with ranch dressing (see my homemade healthy ranch dressing dip here) and mixing it with BBQ sauce and putting it on chicken is a home run for me! Campfire Cones by Princess Pinky Girl. Want to take s’mores to a whole new level? Try out these campfire cones! Stuff them with everything delicious and put them on the grill! 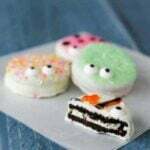 You will never enjoy dessert more than this! 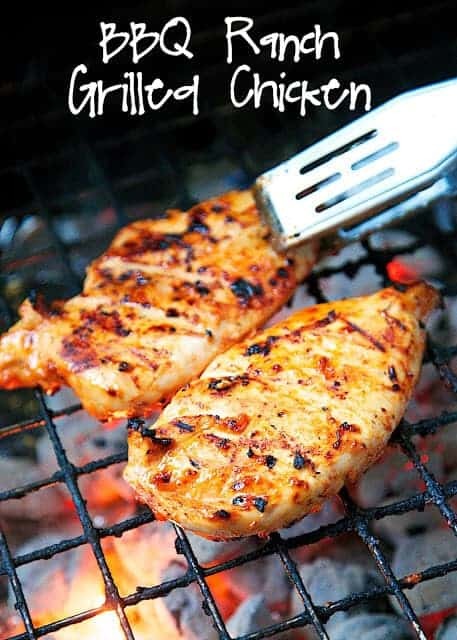 You are making me hungry with all these delicious grilling recipes.